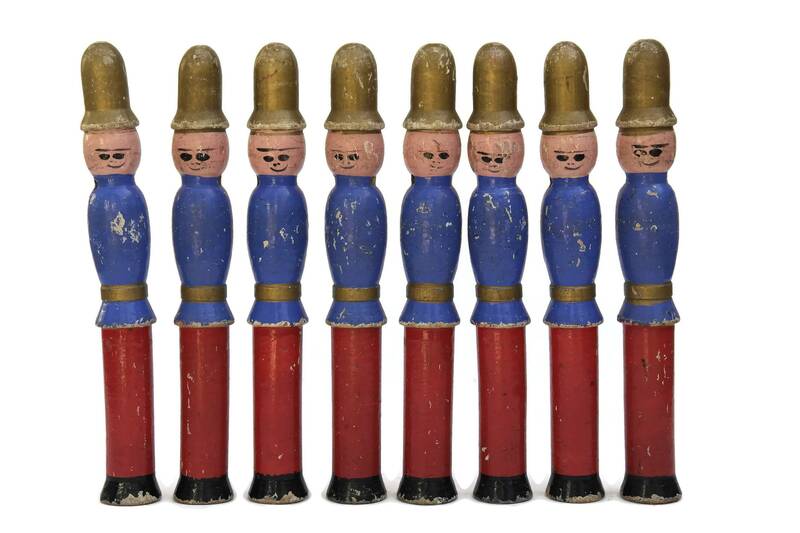 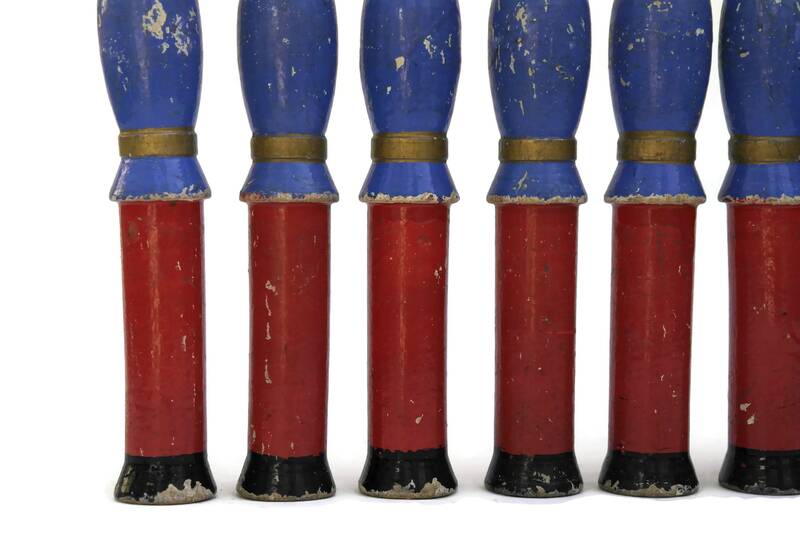 A rare French antique firefighter bowling pins set dating to the early 1900s. 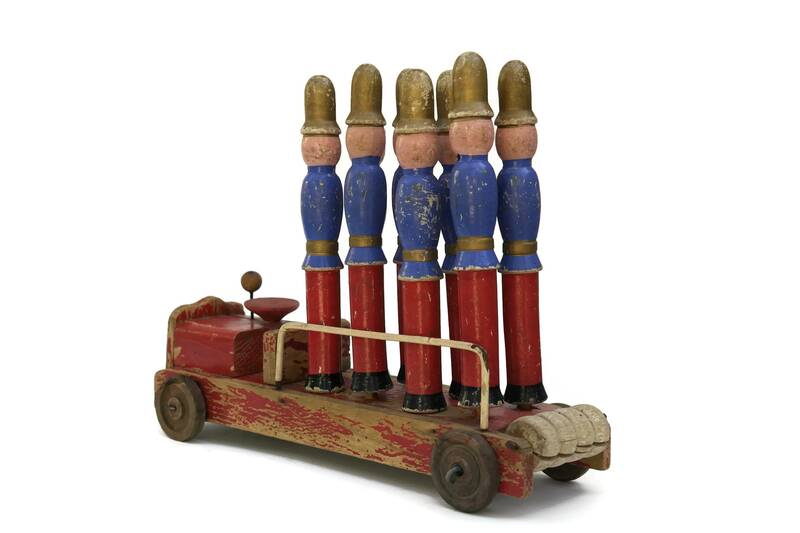 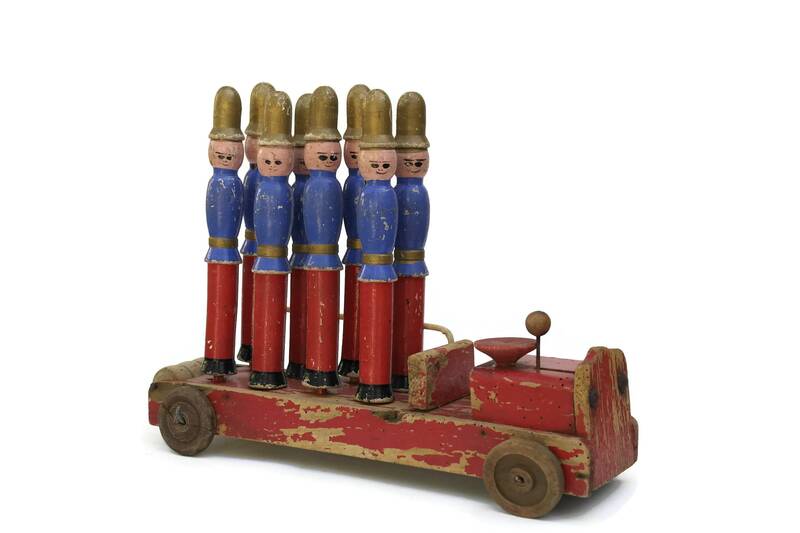 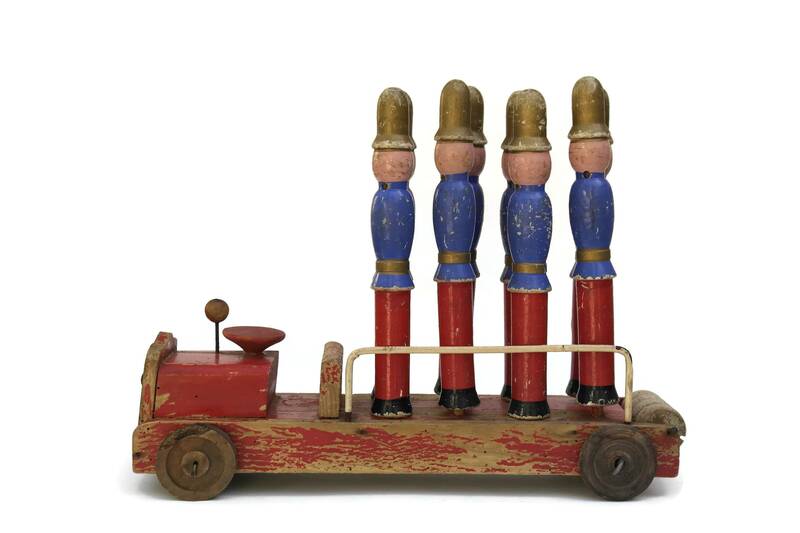 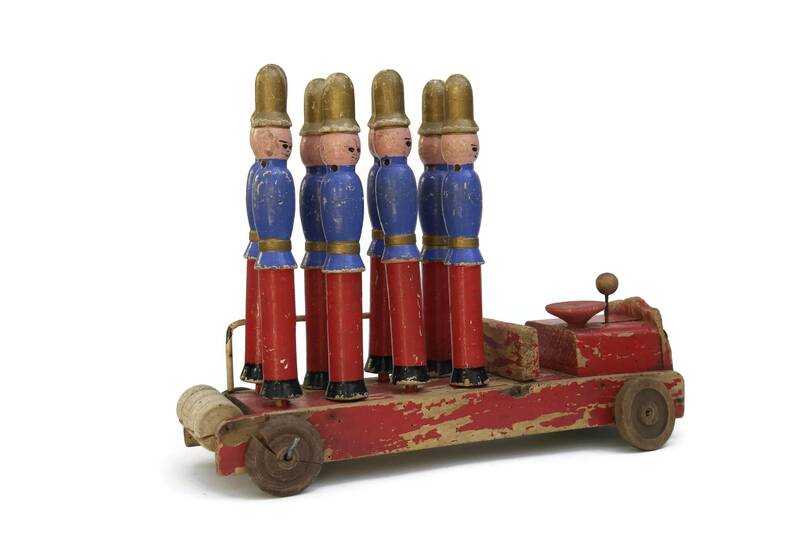 The hand painted wooden game features a fire truck and 8 fireman figure skittles. 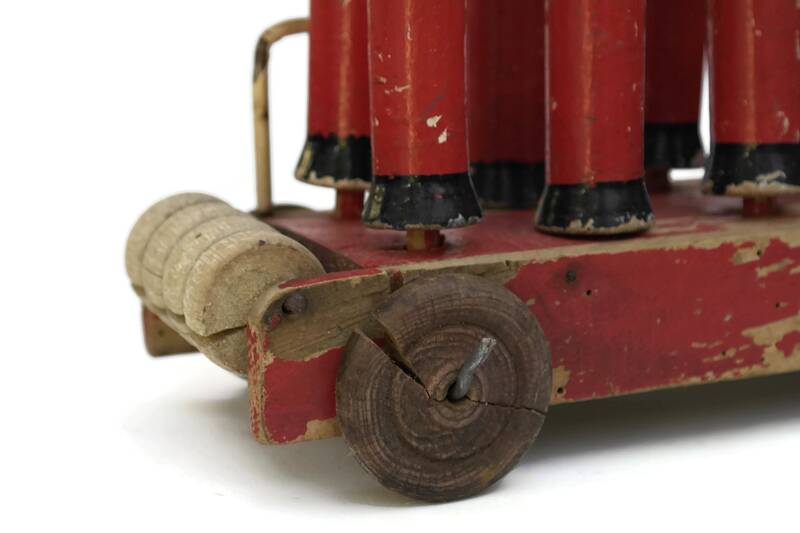 The truck has wooden wheels that turn and can be pushed along the floor. 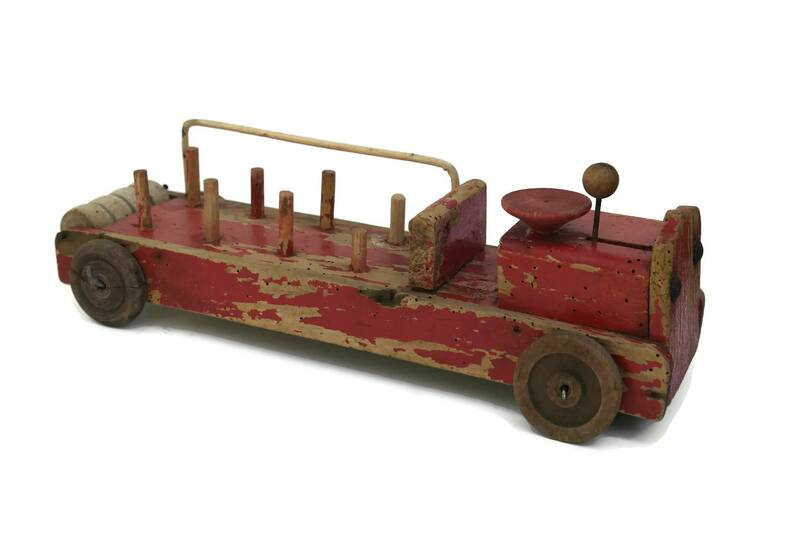 The truck measures 14" Long x 11" Tall x 4" Wide (35 cm x 28 cm x 10 cm). 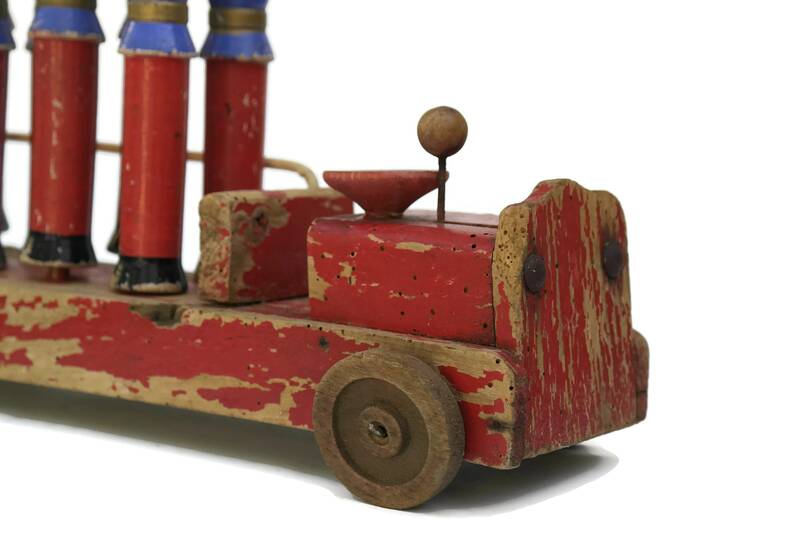 The antique firefighter bowling pin toy is in fair condition with overall signs of age and wear. 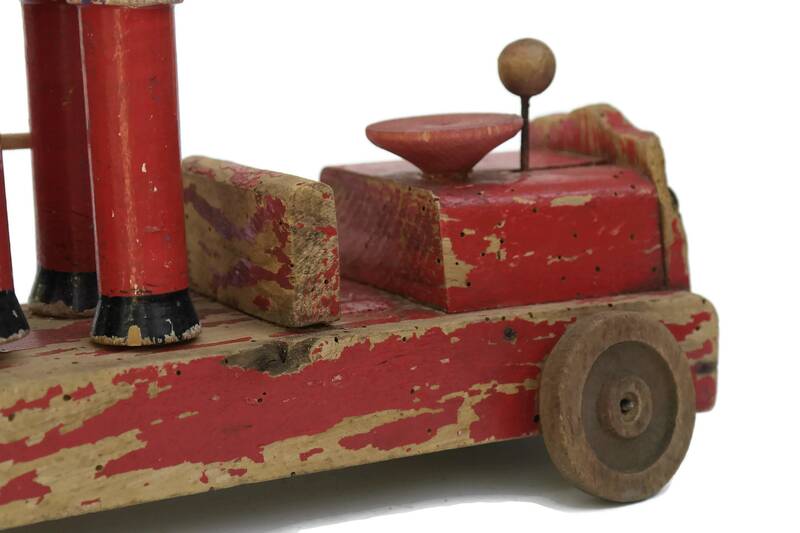 There are paint flakes, surface marks, wear, bore holes and knocks to the wood.